Being a blogger or a content writer, one gets very acquainted with the terms SEO, YOAST, Squirrly etc. For me, when it comes to SEO or the content marketing strategy the first thing that pops up is Squirrly. The cute little squirrel helps me each day to get my content 100% optimized and I'm pretty sure it helps you too. Squirrly has changed the lives of many people, the way they work, the things they learn, what they believe is good marketing and what is not. The software currently has over 500,000 downloads. Have you ever wondered, who brought this squirrel into our lives? 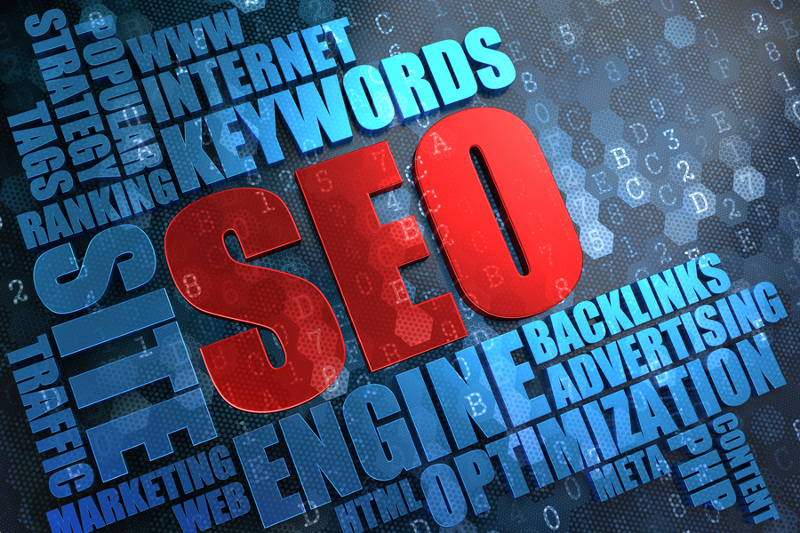 Who helps us each day with our SEO needs? 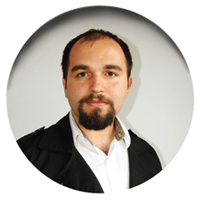 The man behind the curtain is Mr. Florin Muresan - CEO of Squirrly Limited UK. A seasoned entrepreneur, a mentor, a professional blogger, a writer and what not; Florin is one person with multiple roles. The more I read about him the more I realize that this is no ordinary man, he is a man driven by passion, 'passion to create'. Learn more about this zealous entrepreneur and his journey in this interview. I love interviewing people because I love reading their stories. However, I wasn't able to find a complete one for you. All I could gather was bits and pieces of your journey through your education and professional life. Could you tell us your story? How did you get your start? The answer to this one could really take quite a while, so I’ll try to make it short. It all started in the fifth grade. I discovered Borland Pascal, a programming language, and I learnt how to code some pretty cool animations in it. It was a lot of fun doing those. Then in the 6th grade, I found Flash (back then it was from Macromedia, not Adobe). I started building up all sorts of fun 2D games. Moving on I started with 3d graphics and then I moved on to creating music (electronica, industrial, drum and bass). After a while, I discovered that my true passion was writing. Writing stories and plays was something I truly loved. In the end, I came to realize that I need to create, that I was obssesed with creating new things. That’s how I ended up building companies. You are the owner of 2 start ups, Squirrly being the second one. Tell us more about your 1st start up? My first startup was a dream. We thought that we could get people to start thinking more about culture, art and the true passions that make human beings wonderful. I wanted to build something that would help people express their inner selves and that would ultimately turn into a movement of self-expression. Our aim was to create a website builder platform that had all you needed to get started with sharing your life with music, or your life as a fiction writer, your life as a song writer, etc. Think of it as a personalized diary that you had on the web and that you could display for the world to see the amazing things that you as a person were up to: be it music, fashion, industrial design, etc. We would connect these websites together in a community, so that people could start following different sites that were interesting for them and so that they could see how those sites progress over time and keep being updated with them. More than that, we were offering these people a gamified system that taught them how to spread these websites online and get more readers for the web pages that they were creating. It managed to gather a community of 16,000 websites, but in the end it failed to be validated by the market, so we had to shut it down. What was your source of inspiration while starting up with these businesses? Any plans for the next start up? I love teaching people how to market their services and products. For the first startup, I wanted to teach them how to promote the art they were creating and the services they were offering. With Squirrly, we do the same thing, we teach them how to be successful with their content marketing strategy, that's why we offer so many free lessons with the product. What really inspires me is that look in their eyes when they really get it, you know? When they really understand that they can make amazing things happen for their businesses. I love those Skype calls where people tell me how much their audience managed to grow, when they tell me they sold more books after using our software or bought our services. I’m inspired by the moments of happiness they have when they understand how marketing works, or by the moments of happiness they have when they really manage to get a positive outcome from the things we teach them to do. What's more important to you in business "excellence in customer service" or "excellence in product quality"? and why? Excellence in Customer Service is much more important for me, then excellence in product quality. It will always be, I assume. It’s amazing to have people (hundreds, thousands, tens of thousands, etc.) using your product. But for me, it’s not the product that truly matters. It’s the people, the real human beings who get to use our products that matter to me. Why? Because they take their time to use our products, they give us their vote of confidence and they want to rely on amazing people to help them out when they hit a bump on the road. And that’s the part where Customer Service comes in and saves the day. If you want to build a perfect product and you focus on product quality, that usually means that you don’t focus as much on your customers. They get to be a second thought. Well, I don’t like this idea. People who use the product should be answered to immediately so that they know they are important and that they and their concerns are the number one priority. Now, some people will ask: “is this good for business?” – Of course it’s good for business. When you delight people, when you make them happy and offer them your best, you immediately earn life-long friends. And that’s more important than any cash exchange, then any perfect software architecture in the world. These life-long friends will become your partners, even if they know it or not, and whenever your product will not live up to people’s expectations they will be right there to tell you and help you build something amazing. So yes, I think that in business people are more important than anything else, that’s why Excellence in Customer Service must be delivered, even when it seems counter-productive or non-scalable. If it weren't for online business services, what would have been your choice of career? I would have been a writer. Definitely a writer. It’s my one true calling besides being an entrepreneur. And someday I’ll still publish some pretty great novels. Looking at so many of your social media profiles, I'm led to believe that you are a social media freak. What is the element that attracts you the most to social media platforms? Also, which is your personal favorite? Haha ?) Yes, I totally get that. I was a MySpace user before myspace was cool, before Facebook was even born. I loved to have my music there and get people to find it and listen to it. Over time, I managed to have profiles on almost every major social media site. What always attracted me was the openness of the web. You could talk to virtually anybody you ever wanted, you could learn things about people from other continents. I love studying people and their behavior. Social Media was always a great way to connect with people from different cultures and kinda get a small feeling of what they were like. Plus, I got to talk to Guy Kawasaki and Paulo Coelho, two people that I admire. If I remember well, I even exchanged tweets with Tom Peters (author of Brand You 50). That leads me to the next answer: Twitter is my favorite. It’s been my first love and I still like spending time on it. I got in touch with the people mentioned above via Twitter. It helped me connect with so many people that helped my personal life and also my professional life. You recently released your course on Content Marketing Strategy, what are your thoughts about mentorship/coaching? Any particulars mentors you wish to mention who helped you through your journey? I love being a mentor at different startup events, like Startup Weekends, or Startup Pirates. It’s amazing for me to get people to think about their lives more seriously and about the opportunities that life has to offer, besides all the “technical” stuff. My favorite two mentors are my co-founder, Calin Vingan (we’ve worked together for about 8 years already on many different things), one of my investors, Philipp Kandal, and a great great dude who helps startups: Bogdan Iordache, a web entrepreneur who also organizes How To Web, one of the biggest startup events in the Eastern Europe. On your journey, did you ever feel lost/dejected? Of course. You always get to feel lost and rejected. I think though that I personally hardly ever feel rejected, because I care a lot more about my inner self and the self-analysis that I make of myself, than of what other people think of me. I always need to live up to my own expectations (which have always been very high), so that’s why I don’t care a lot about those moments of rejection. But feeling lost, yes. That one is part of being a CEO of a startup. Since the market conditions always change, since you have to do so many things as a CEO and you are barely qualified to do any of those, it gets confusing and it’s easy to get lost. Whenever I’m lost I stop all that I’m doing and focus on one thing: clearing my mind. It’s hard to do that, in all the chaos that one might find himself (or herself) in. But it’s the one way of getting out not feeling lost anymore. We'd like to know more about"the DIP" situation? The Dip. Hehe. It’s from a book written by Seth Godin (love that guy). It’s a state in which you will find yourself in life, no matter who you are, no matter what you do, no matter what you believe in. It will be that time of emotional low, when you feel everything became way too hard, when you’re at the point of losing. That’s the moment. The moment when you have to think if it makes sense to keep going, or if you’ll just simply stop. (and maybe start anew). At my first startup when i had my “the dip” moment, I decided that all the passion in the world couldn’t get me to continue working on that, so I stopped and shut down the company. And that was it. No hard feelings. Just moving on. It was one of the most important moments of myself, in terms of defining who I was. At my second startup, when I had a new “the dip” moment, it made me more focused. It gave me determination. It made me fight no matter what and work towards getting out of the dip, soaring high and doing my best to become a champion. It made me mentally go through tons of different scenarios and all that I could find was desire. Desire to keep walking. Desire to get out of the bad situation and move everything so that it would all work out in the end. And it did. So, here I am ? At last, we'd like to know what is it that keeps you going? 5 factors that keeps up your tempo in life? That was great Florin. So folks, if you want your content marketing strategy to be put in place or if you want to build the SEO of your site, you know who to reach out to. Puja is an online marketer and content writer for DealFuel. Irrefutably the charmer who engrosses the customers and keeps them on toes, she happily writes great content for our customers and sends out amazing deals to their inbox. An enthusiastic animal lover, she also finds great interest in books, cartoons and cooking. Nice post – Great person & Super Seo Plugin! Thanks for a little more insight on the Romania Rocket! Thanks Robert, Glad you liked it 🙂 And indeed Squirrly is an amazing plugin and Florin is the brilliant mind behind it.